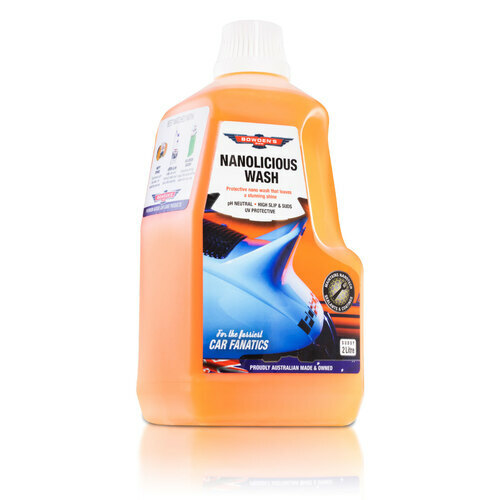 Nanolicous Wash Pack - A high end wash pack. 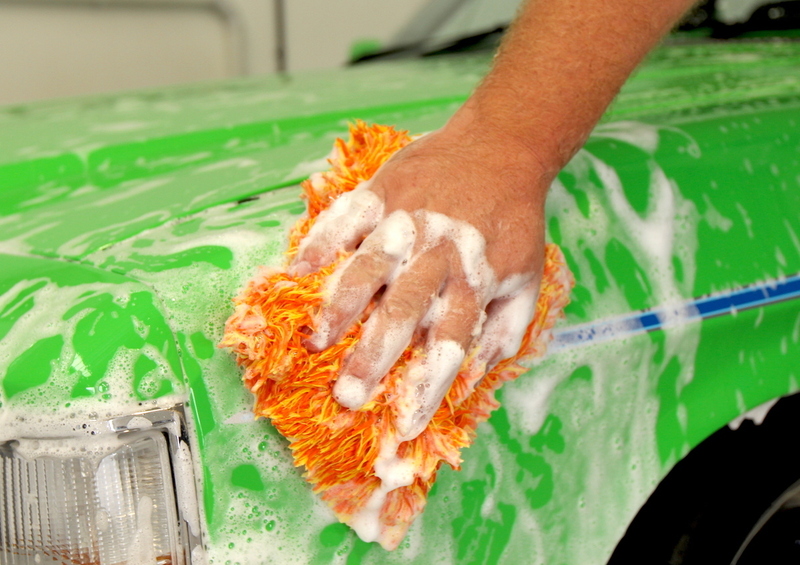 A beautiful wash that has exceptional cleaning power as well as leaving a lovely protective finish. We custom created this wash to have super dense and lubricating suds that encapsulate and suspend dirt and grit away from the paint. 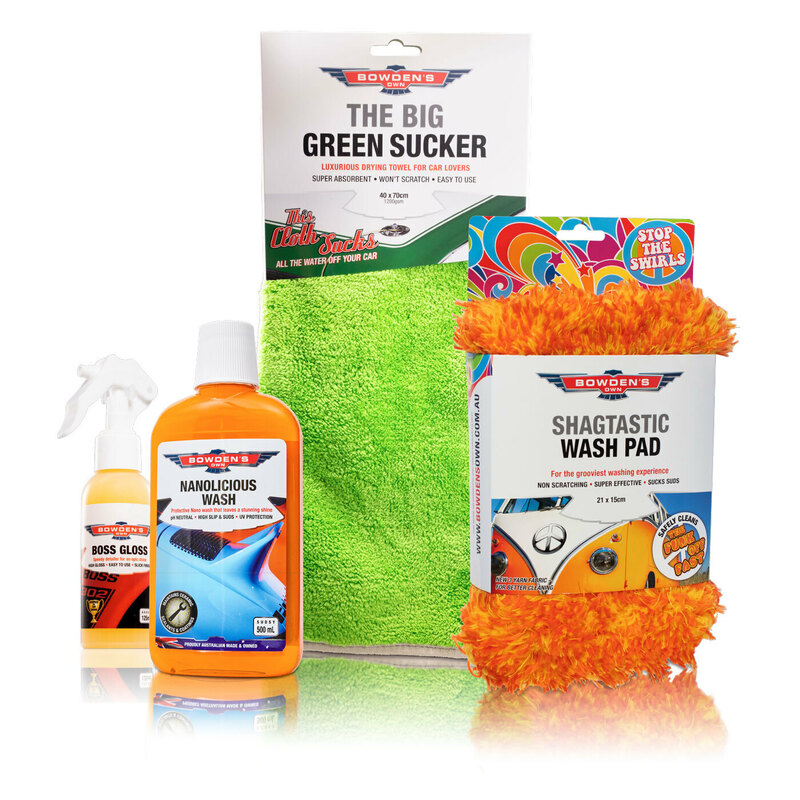 Our new wash pad, for a fast and outta-sight clean! 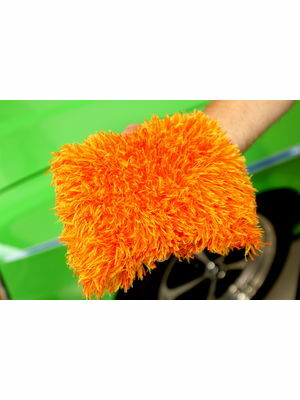 It uses a groovy blend of funky fibres work together to give a blissful, safe wash experience. 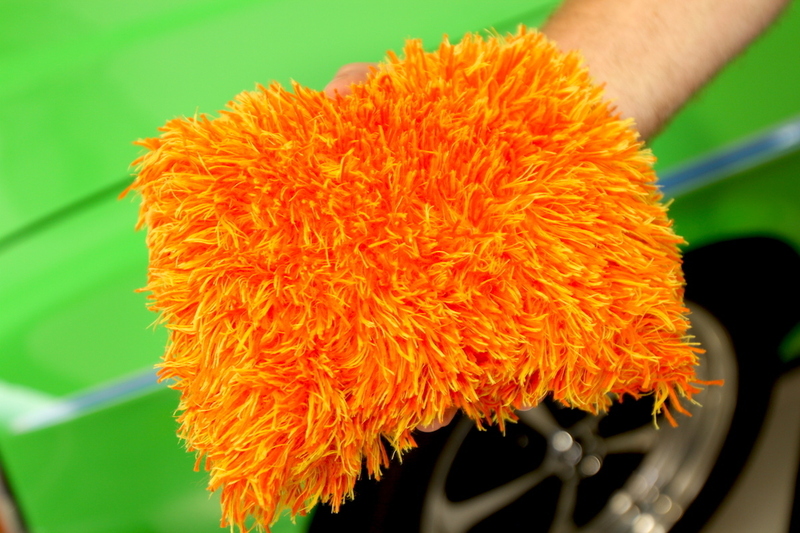 Plush shag pile creates a deep & soft cleaning surface, to prevent grit and grime from swirling delicate paint. 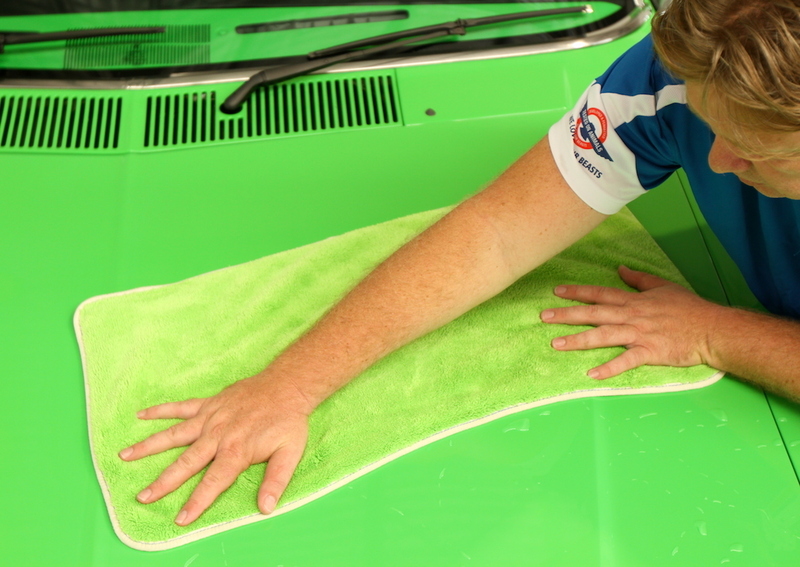 Super absorbant and awesome to use, this towel is the single best drying tool we have ever used. With its soft, deep plush pile microfibre it again minimises the chance of scratching from if you missed a bit while washing (yes we all do it). This was the first thing I bought after found out about Bowdens Own. I still haven't got over how well the mitt picks up dirt and drops it into the bucket! Both the nano wash and the mitt are the things I use most.